T-Mobile wants to do to pay-TV what it did to the wireless industry. It is buying Layer3 TV to help. But Layer3’s model is hardly disruptive. So why buy it? The answer is in Layer3’s architecture and the future of the T-Mobile network. 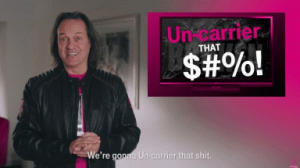 So, how can Layer3 help T-Mobile be the un-carrier of pay television? On the face of it, Layer3’s technology and content doesn’t seem to fit very well with T-Mobile and Mr. Legere’s goals. Layer3 seeks to be a premium TV service, relying on a better interface and functionality to help sell against traditional pay TV services. Its entry-level tier of service is $89 a month and includes 160 channels. Compared to new market entrants Sling TV and YouTube TV, Layer3 is anything but disruptive. When Layer3 licensed TV content for its service it did so as a traditional pay-TV provider, not as a disruptor. Those licenses almost certainly come with all the restrictions that other pay-TV operators endure, and at the same license fee rates as standard pay TV. In other words, Mr. Legere has very little room to maneuver with those content licenses. He can’t offer creative bundles to compete with vMVPDs like Sling and he certainly can’t match them on price. Can Layer3 technology help T-Mobile? Layer3 delivers service over a combination of leased fiber and a customer’s own broadband connection. Using this architecture, Layer3 is not subject to all the congestion and disruption that OTT players like Sling TV and YouTube TV must endure. It is, therefore, able to guarantee pay TV reliability and quality. However, it takes a long time to get that network in place, and that’s why Layer3 is only available in 5 markets. Why on earth would T-Mobile want a pay-TV solution based on a managed IP wired network when the company is a nationwide wireless carrier? The company is targeting rural areas because that’s where more than 1.2 million square miles will be cleared first. Much of it will be available by the end of this year. 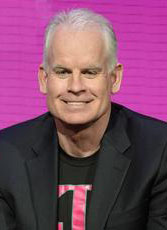 So, the picture for T-Mobile’s 5G network is this. Cell towers providing connections to the home with wired broadband speeds. A fiber backhaul network from the towers to the rest of T-Mobile’s backbone network. Sound familiar? It’s pretty much the same network architecture Layer3 TV uses to deliver its service. Rural America is also a great place for T-Mobile to start offering something more akin to a traditional television service. Rural areas typically only have one option for broadband, and one or two for pay TV and voice services. T-Mobile will be able to offer voice, video and data services at very competitive rates because it doesn’t have to run cables to all the homes it wishes to reach. Expect the company to start rolling out a nationwide triple-play bundle based on 5G and Layer3 TV starting next year. The purchase of Layer3 TV by T-Mobile might not look like a very good fit. Layer3 doesn’t have a disruptive TV model and is dependent on a wired network for delivery. However, T-Mobile’s 5G network should be a great fit with Layer3 and will allow the wireless carrier to offer a very competitive triple-play bundle rolling out nationwide.